This title is also available as an?e-Pattern! 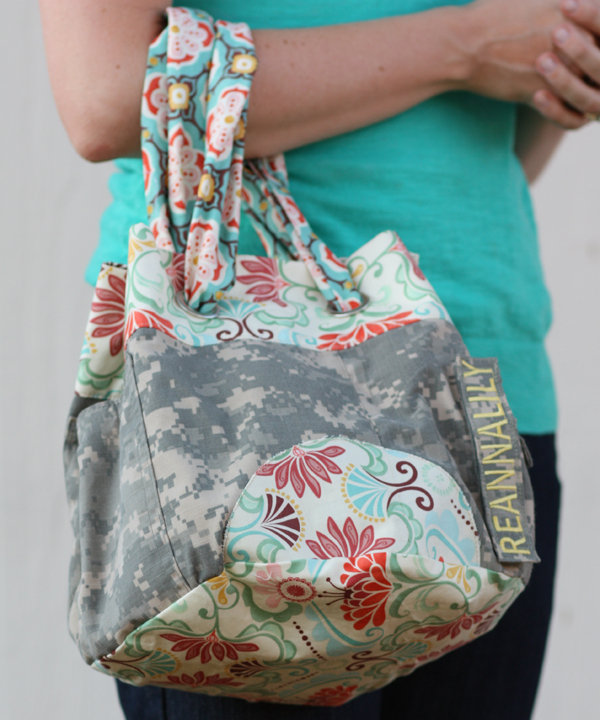 The Military Mailbag & Express Mailbag pattern offers two bag sizes and two strap styles for you to customize your own bag. The smaller Express Mailbag, is perfect for layer cakes. 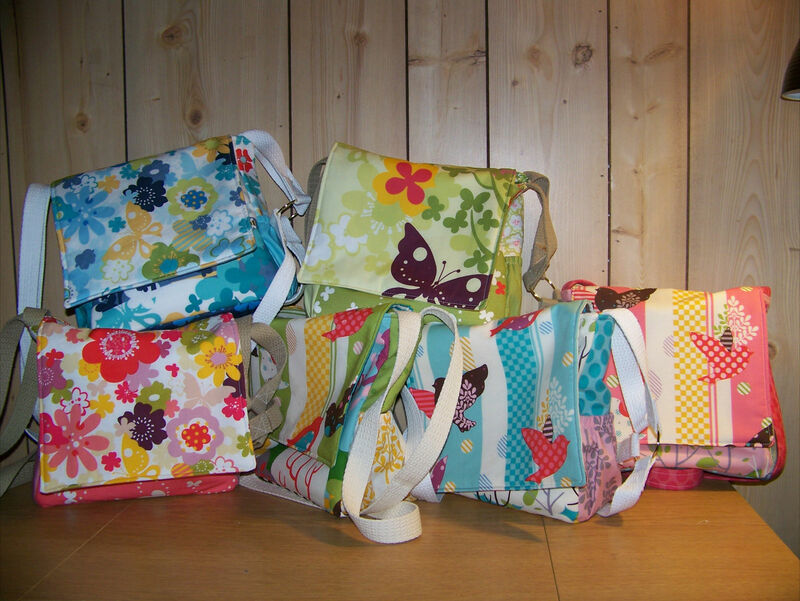 The larger Military Mailbag and the Express Mailbag both have messenger flaps to showcase your favorite fabric. Both bag options have five or more pockets making this an incredibly useful, fun design. The pattern also includes directions for working with military uniforms. Support your favorite service person. The Express Mailbag is made from 10″ squares or a layer cake. The Flapper Purse is one in a series of patterns by ReannaLily Designs that feature military uniforms repurposed into contemporary, fashionable designs. Special instructions for working with the uniform are included. Thank you for supporting our troops! The Cube Purse Pattern is a bag pattern that includes 4 drop-in pockets and a zipper pocket on its 10″ cube profile. It is perfect for layer cakes! Make the bag out of traditional fabric, or honor your service member by recycling one of their retired uniforms and making the Uniform Bag, which uses recycled military uniforms. This is a Paper Pattern which you will receive by mail. 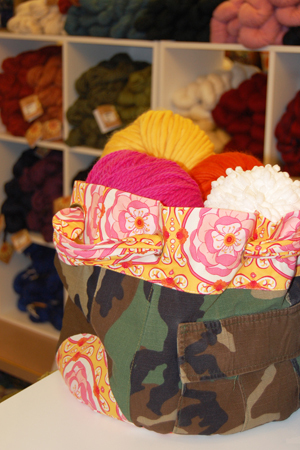 Jen Eskridge and Karen Morello teamed up to make the “Adjustable Aprons” pattern. This is a fun project for anyone. Make an adjustable apron for yourself and for your little kitchen helper! The pattern includes an Adult size and a Child size. As a bonus you also get directions for an?EASY French Seam technique.